Go ahead and wear a plain outfit—now there's a statement we don't often make. Lately, it seems all we've been talking about in the Who What Wear office are spring's pastel colors and eclectic prints. But hear us out when we stand behind wearing simple outfits. It all has to do with this one shoe trend. Printed sandals were basically made for days when you just can't muster the energy to construct a carefully curated outfit. So take the pressure off yourself and reach for shoes that command all the attention. There's something refreshing about the thought that trying less in your outfit can actually do more. Jeans and a tee? Why not. A simple shirt dress? Go ahead. When paired with pretty printed sandals, like gingham slides or floral jacquard platforms, the simpler the outfit combination, the better. Scroll down to meet your spring wardrobe's new hero shoe. Catch us wearing these with a breezy white dress this summer. The print on this pair was designed alongside a famous wallpaper company. Show off the contrasting prints and ankle ties by pairing these sandals with a midi dress. The color that's winning over everything else right now. This pretty pair was made for summer evenings. Available in sizes 35 to 38.5. Team these with relaxed jeans and a simple button-up. These Gucci sandals are begging to be worn with a clash of other prints for a look that's so right now. Move aside, florals. Gingham is spring's freshest print. The up-and-coming shoe brand that's captivated every Who What Wear editor. A pair of heels that will do all the talking for you. Not big on loud prints? Try subtle tortoiseshell. Wear these with your favorite black jeans. If these don't scream vacation, we don't know what does. 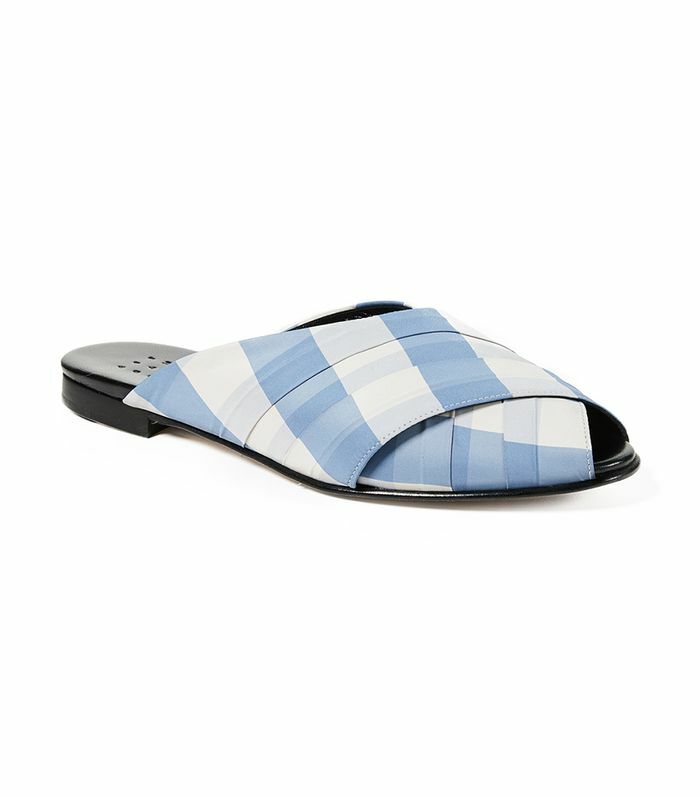 Slides so stylish, you'll actually want to wear from day to night. A flirty pick for a night out. The contrasting stripes give this pair a subtle sporty vibe. Speaking of shoes, these pairs are perfect transitional shoes for that awkward in-between season.